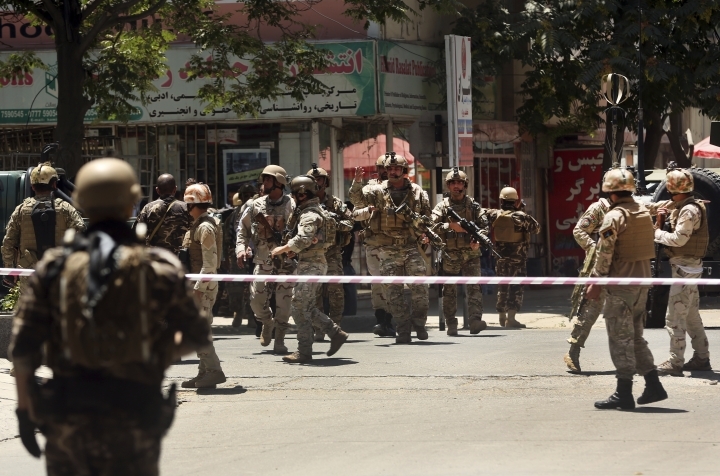 KABUL, Afghanistan — The Islamic State group targeted the Iraqi Embassy in Kabul on Monday, with a suicide bomber blowing himself up outside the gates, followed by three gunmen who stormed into the building. The assault set off a four-hour firefight that ended only after Afghan security forces said they had killed all the attackers. 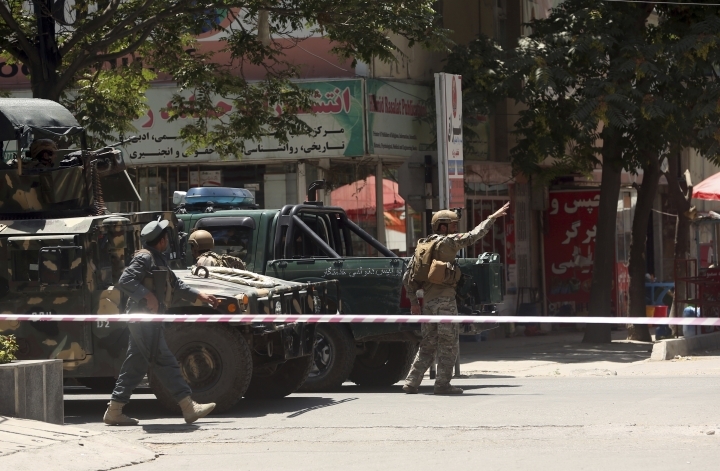 Interior Ministry spokesman Najib Danish told reporters that two Afghan employees of the Iraq Embassy died in the attack. Three police were injured, he said. As the attack unfolded there were conflicting reports of casualties, with a witness saying he saw bodies of at least two policemen lying on the road outside the embassy soon after the attack began. 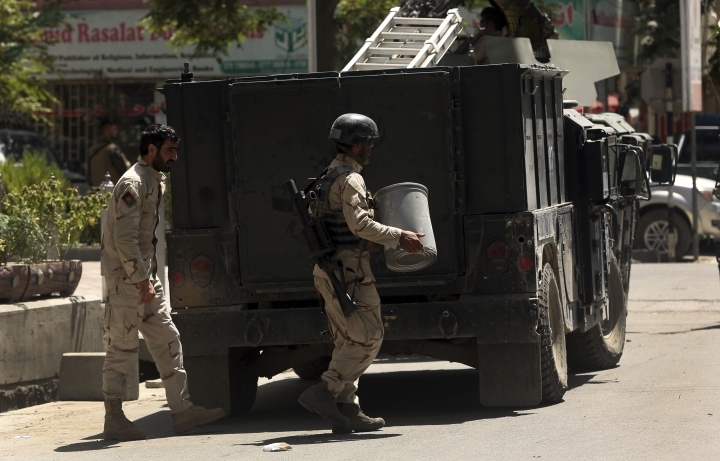 In its claim of responsibility, the Islamic State group said its fighters had killed seven guards but the militant group often exaggerates its claims on the number of casualties inflicted. The IS attack likely meant to distract attention from the militants' massive losses in Iraq and Syria in recent weeks. Also, IS said only two of its followers were involved in the attack, not four as Kabul officials said, adding to the conflicting reports. Earlier Danish said only one policeman was wounded and that there were no fatalities among the security forces or civilians. Danish told The Associated Press over the phone that all the embassy staffers were safe but that the building had suffered extensive damage with windows broken and several rooms badly burned. 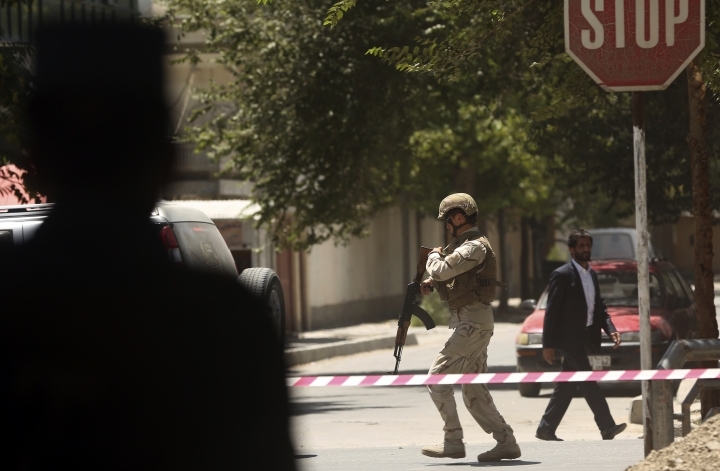 It wasn't until the attack ended that both the embassy and the interior ministry realized two of their Afghan staff had died in the daring assault. 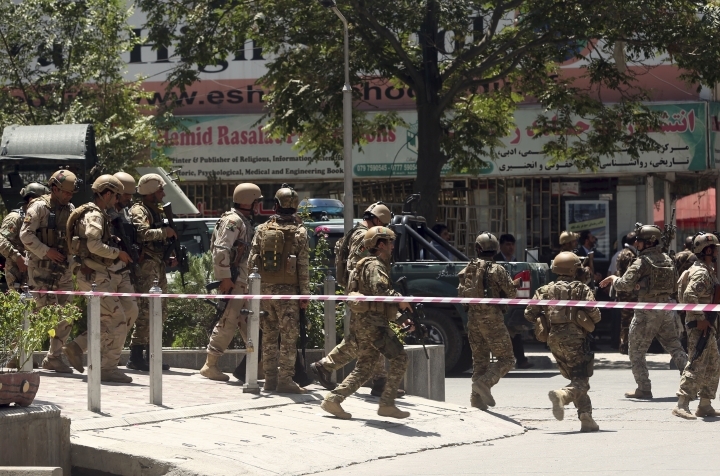 Afghan President Ashraf Ghani condemned the attack and said it was the government's responsibility to provide protection to international missions. In Baghdad, Foreign Ministry spokesman Ahmad Jamal condemned the assault as a "terrorist attack". 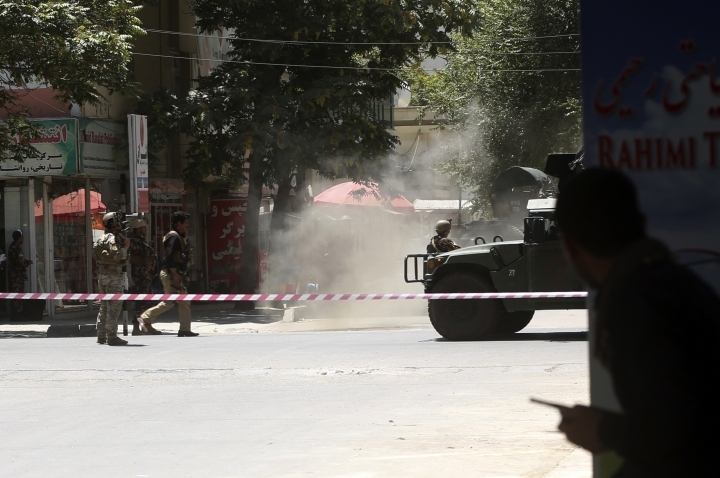 The attack began with a big explosion that rocked central Kabul shortly before noon, followed by gunfire that lasted for several hours, and two or three more subsequent large explosions. Police quickly cordoned off the area, barring reporters from coming too close to the scene. 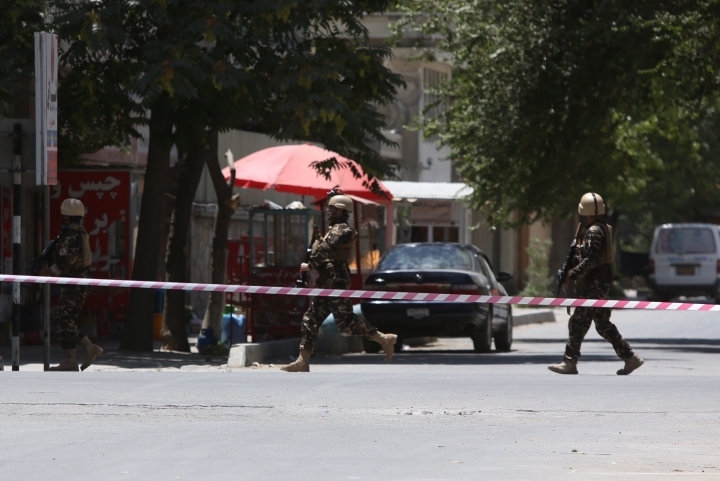 The Afghan Interior Ministry said a suicide bomber first started the attack, blowing himself up at the embassy gate, after which three attackers stormed inside. 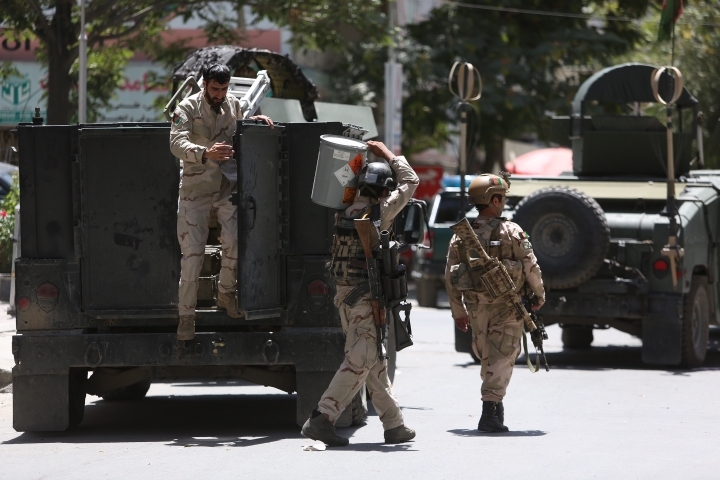 Earlier, Afghan officials who spoke on condition of anonymity as they were not authorized to talk to the media, had said a car bomb started the assault. Later on, it became clear the suicide bomber was on foot and not driving a car. 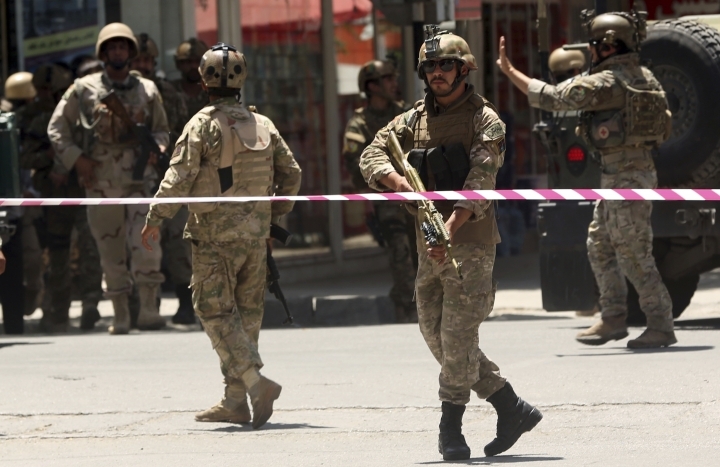 The ministry statement said Afghan security forces quickly deployed to the scene, rescuing all the embassy diplomats and employees and taking them to safety. 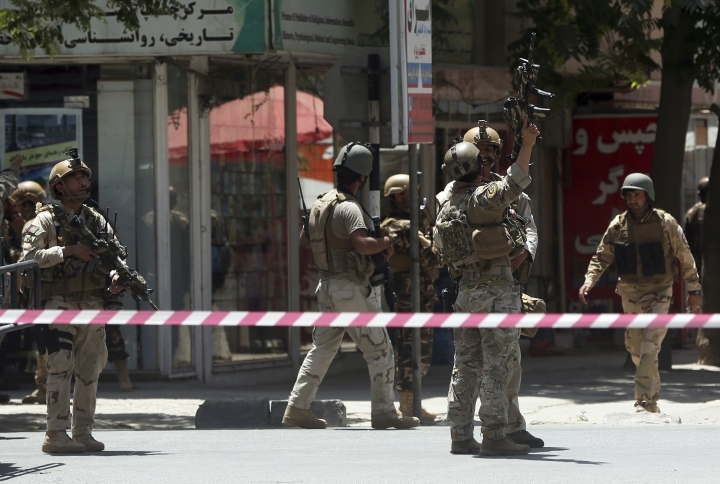 While the attack was still underway, the Islamic State affiliate in Afghanistan claimed responsibility in a statement carried by the IS-linked Aamaq news agency. A police officer in the area, who identified himself only as Abdullah, said the gunfire was initially intense but later became more sporadic. 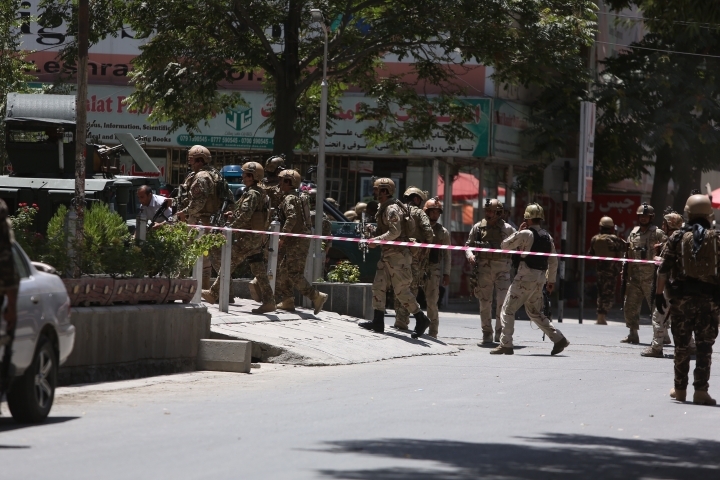 The area was surrounded by armored vehicles and a large contingent of police and Afghan soldiers. More than an hour into the attack, witnesses reported hearing another powerful explosion and said they saw black smoke billowing skyward. It wasn't immediately clear what had caused the later explosion. Associated Press writers Kathy Gannon in Kabul, Afghanistan, Bassem Mroue in Beirut, and Sinan Salah in Baghdad contributed to this report.